HOME IS VACANT. 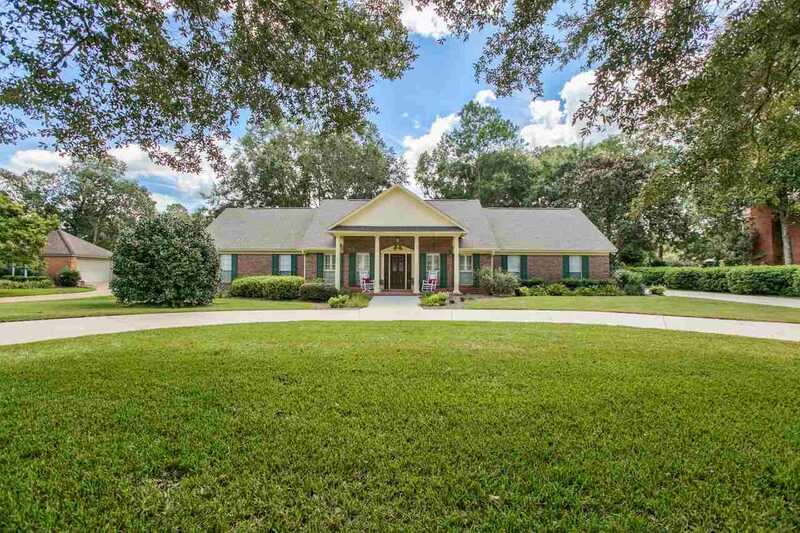 Spacious, all brick, 1 story home in Killearn Estates. Split level 4 bedroom, 2 1/2 bath. Large, private master suite opens to pool and brick patio. Completely renovated in 2014 with over $100K worth of improvements including interior and exterior paint, new wood flooring and carpet, new kitchen island, wet bar and appliances. Updated bathrooms with new vanities and comfort toilets. Custom light fixtures and ceiling fans throughout. All window shutters and blinds were replaced in 2017. Tankless, gas hot water heater. Oversized lot with a new 4" cement circle drive and side entry, two car garage. All of this and more on one of the most sought after streets in Killearn. Directions:Heading North on Shamrock St. E. turn left onto Kilmartin. Home will be located on your right. SchoolsClick map icons below to view information for schools near 4049 Kilmartin Drive Tallahassee, FL 32309.